Celebrate the holiday season with Christmas recipes for everything from fancy feasts to casual parties. Plus, find seasonal favorites like cake recipes, eggnog recipes, casserole recipes, and gingerbread recipes. You don't have to be a seasoned pastry chef to bake and ice the perfect Christmas cookies that will wow your friends, family, and neighbors this holiday season. Preparation is the key to sucess in nearly every area of the baking process, which includes knowing what could go wrong. Take care to avoid these common cookie baking newbie mistakes, and you're well on your way to the perfecting the quintessential holiday treat. Keeping 'em fresh comes down to moisture control. You always end up with a package or two this time of year. Bring out your best traditional Christmas dinner menu when you host the big holiday meal. From beef tenderloin to traditional ham, check out our favorite menus for Christmas dinner and use this collection to inspire your next holiday meal. These menus cover everything from winery-inspired feasts to amazing regional-specific fare. While it's important to incorporate expected traditional recipes into your menu, it's also good to add in new recipes every year to shake up the menu and inspire your guests. Pick your favorite, make a few new dishes, and ask for feedback while you all enjoy a delicious holiday dinner. Serve dinner guests a mouthwatering pie that tastes as good as it looks. Whether you're a baking beginner or born with a sifter in hand, we've got the recipe for you. Our a special one for Santa! Even beginners can make cookies that look like a professional's—it just takes a few extra dishes and the right icing recipe. We’ve got the 5 step how-to for cookies that “wow” with colorful designs and perfect lines. Gooey, chewy, and straight-from-the-oven, these tried-and-true cookie recipes warm tummies and hearts. Chocolate bark is a classic treat during the holidays, and what's not to love about it? Simply melt chocolate, spread it out, and top it with your favorite ingredients. Plus, it makes a super-easy, giftable treat. Simply, wrap in clear plastic and tie with a festive bow for a lovely homemade Christmas gift. Christmas goodies don't get much easier than melting chocolate, spreading it out, and adding your favorite toppings. You really can't beat classic peppermint bark during the holiday season. It's simple to make, requires just a few ingredients, and is highly addictive--don't say we didn't warn you! For homemade holiday gifts, wrap the candy up in bags and tie with festive ribbon. Celebrate Christmas this year with traditional recipes you love to make year after year. From succulent meats, to sweet treats, we have plenty of recipes that bring you right back home in every bite. Get your holiday meal on the table in no time flat with these quick-and-easy side dish recipes. Woliday ham some homemade love with a signature glaze that will really take it to the next level. Check out our top holiday casserole recipes featuring all the side dishes you need from green beans and broccoli to corn and potatoes. Prep your palate for the main course with a fragrant and flavorful salad course loaded with seasonal fruits and vegetables. 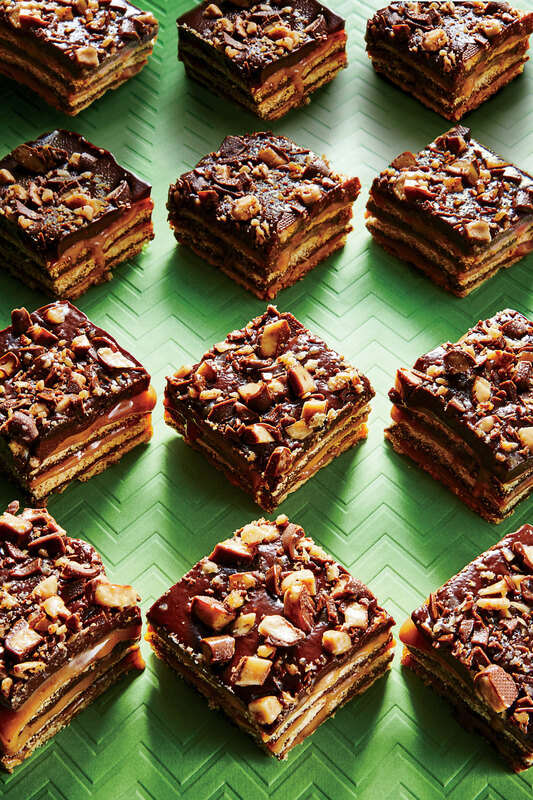 Desserts are not off-limits when you make these lightened versions of holiday favorites. These top-rated seasonal side dishes are easy to prepare and perfect for holiday entertaining. How long can I keep leftover meat from my holiday roast?